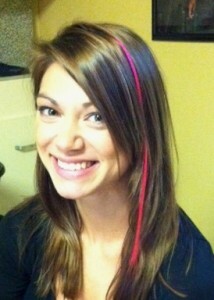 During October 2011 Trisha’s Salon staff will be offering pink hair extensions/feathers to clients who want to support the cause for breast cancer awareness. The service will be offered for a donation of $10 per extension, or feathers ranging from $10 to $30. The entire amount will be sent to the National Breast Cancer Foundation, Inc. NBCF has committed themselves to fight breast cancer by funding free mammograms for those who otherwise could not afford them. NBCF also supports research facilities all around the U.S. for fighting this battle.